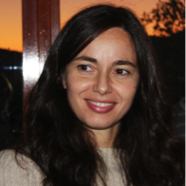 Laura Cancedda graduated in Medicinal Chemistry at the University of Genoa in 1999, with a thesis on the role of neurotrophic factors on neurotransmitter release. She received her Ph.D. in neurophysiology from Scuola Normale Superiore (Pisa, Italy) in 2003, under the supervision of Dr Maffei. In Pisa, she investigated the molecular and environmental basis of experience-dependent plasticity in the rat brain. In 2003, she moved to University of California at Berkeley in Dr Poo’s laboratory where she focused her studies on molecular mechanisms of GABAergic-transmission modulation. Currently, she holds a team-leader position at the Italian Institute of Technology (IIT) in Genoa (2008- ) and a scientist position at the Telethon Dulbecco Institute, Italy (2016- ). Her research focuses on the role of extracellular factors in migration, morphological maturation and wiring of cortical neurons under physiological as well as pathological conditions. Laura has also an interest in investigating new approaches for in vivo transfection of nucleic acids. The goal of my laboratory is to understand the molecular determinants of cortical circuit development and wiring in physiology and pathology. In particular, a main focus of the laboratory is to try to understand how diverse developing neurons influence one another during neuronal migration, axon and dendrite polarization, and formation of neuronal networks. Indeed, we believe that the extracellular milieu of a specific developing brain cell is strongly influenced by the presence of other cells that are developing themselves (cellular environment). Notably, as development is by definition a dynamic process, the cellular environment will constantly change over time and it will be different in different brain areas. This may have tremendous conceptual consequences for the treatment of neurodevelopmental disorders, and we believe that the study of the different cellular environments during brain development may eventually lead to the identification of specific therapeutic windows to address aberrant neuronal development with much reduced side effects. To address these issues, we have developed two lines of research in the laboratory: a first line focuses on basic and translational animal research on brain development in health and animal models of neurodevelopmental disorders, and a second one focuses on promoting new technological approaches in developmental neuroscience.